Found these in the bottom of a stamp box, perhaps 20 years old. 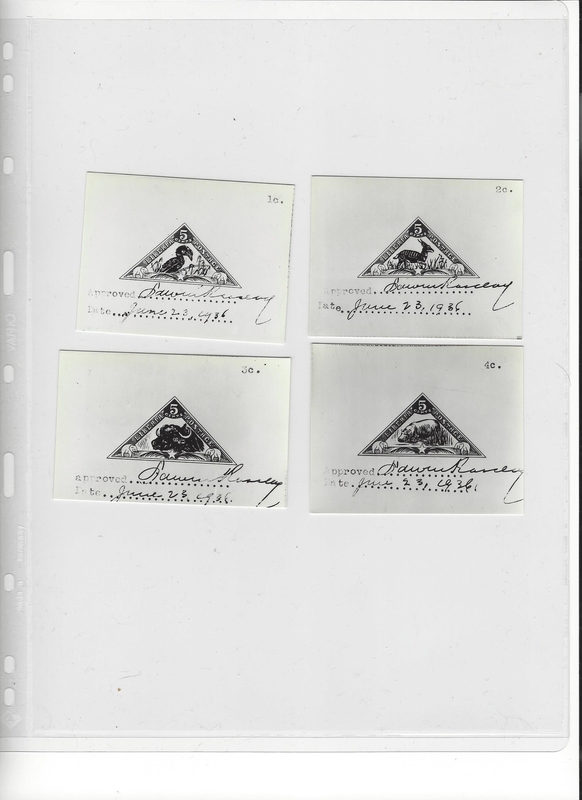 Seem to be photos of the stamps approval and each one signed (real signatures) on the back. Seems I have group #21. 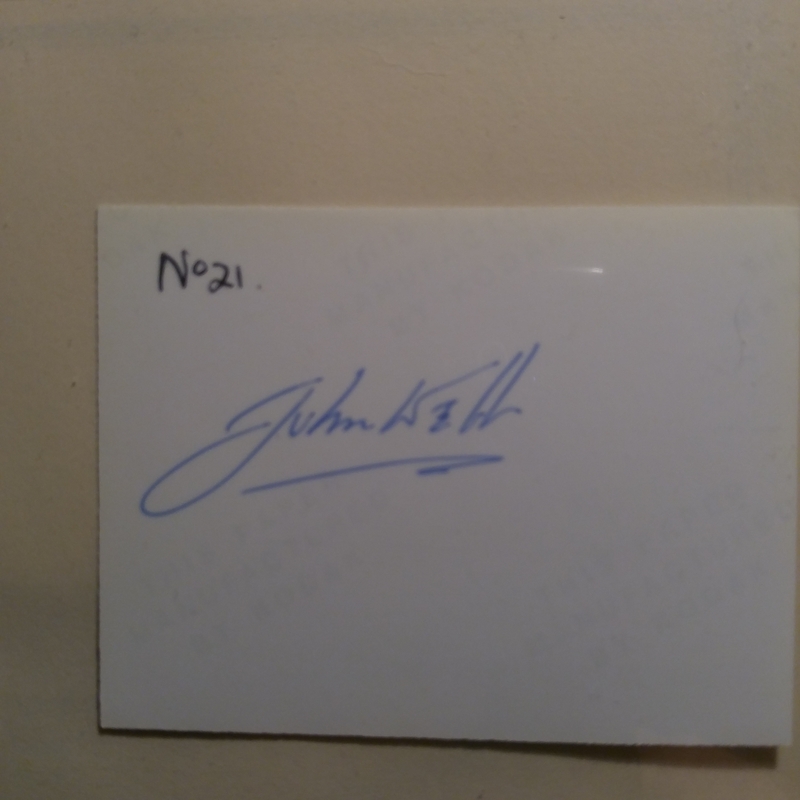 Anyone know who the signator is and any history of these. 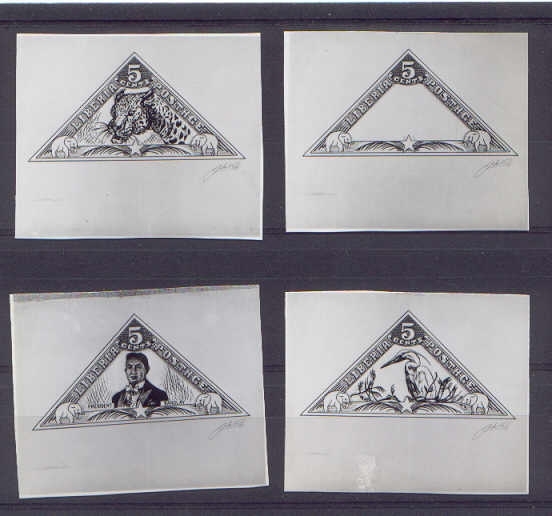 These are from a series of photo proofs and essays signed by the designer of this issue, John Webb. There were a total of 30 complete sets (of eight? - not sure now), but most sets have been split up and sold as singles. Thank You again...and Happy New Year. Can you the other photos if you have them. Is this only essay you have ? 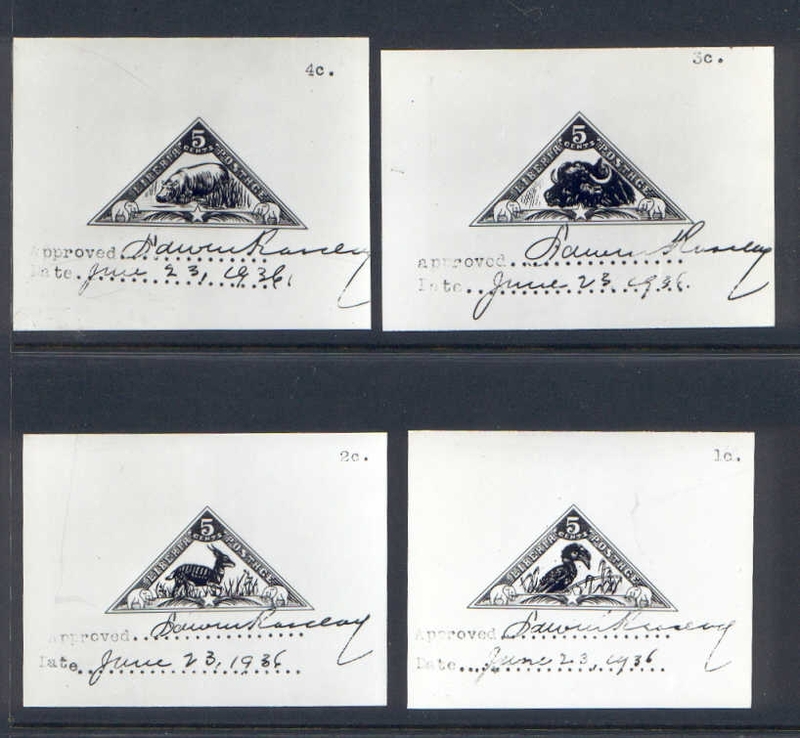 Here are scans of the set of 8, as described by Manfred above. 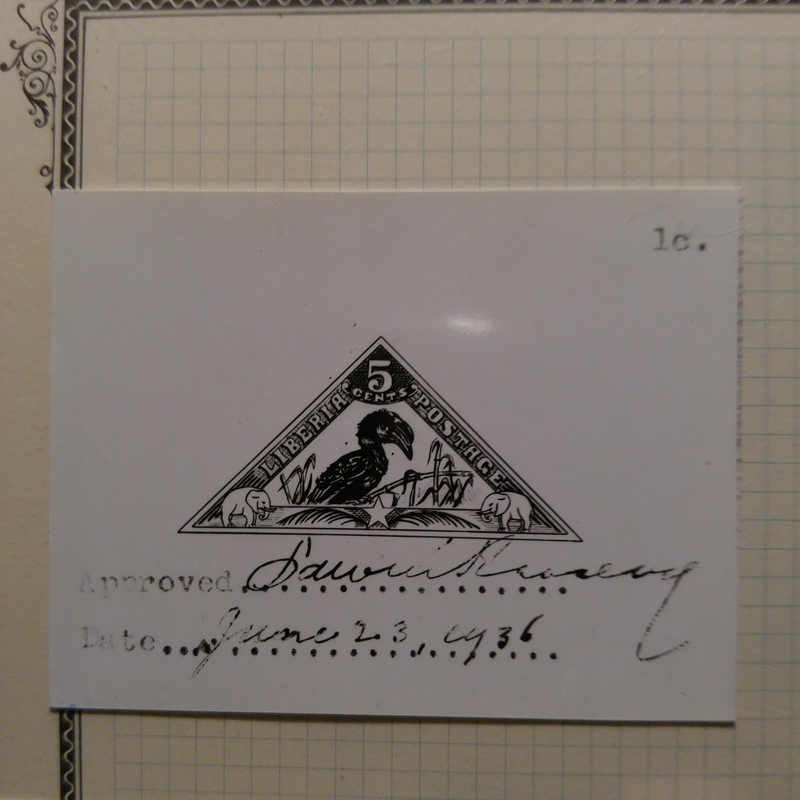 I have been tracking these on eBay for over a decade, and have only seen the toucan, buffalo, antelope and hippo, with the "approved by" stamp and signature, June 23, 1936, and always signed on the back by John Webb. 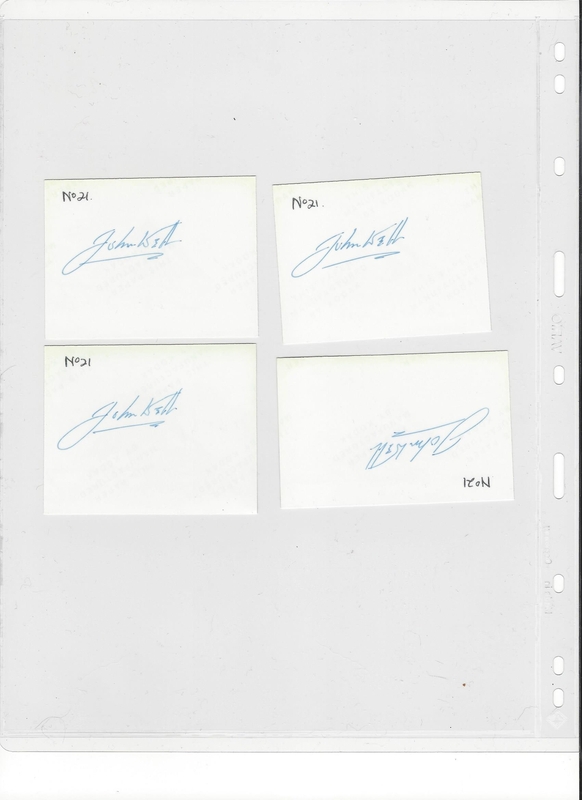 The other four always appear with just a John Webb signature on the front, no other signature. My thoughts are not conclusive, but do accurately reflect several eBay offerings from 2006 to date. And I also add a Merry Christmas and Happy New Year to all, "in keeping with the situation." Albert, give me a day or two and I will scan both sides of the 4 I have and post them. Here is the front and back. Note that #3 was signed upside down.